These are still absolutely amazing. When people ask me the question: “who is your favourite rapper?”, I usually reel off the the obvious choices - Q-Tip, Common, Big, Phonte, Mos Def. However; I never forget to mention this man’s name, and having had Special Kind of Fool for a week now, I have every reason to believe he deserves to be spoke about in the same vein as those great artists. 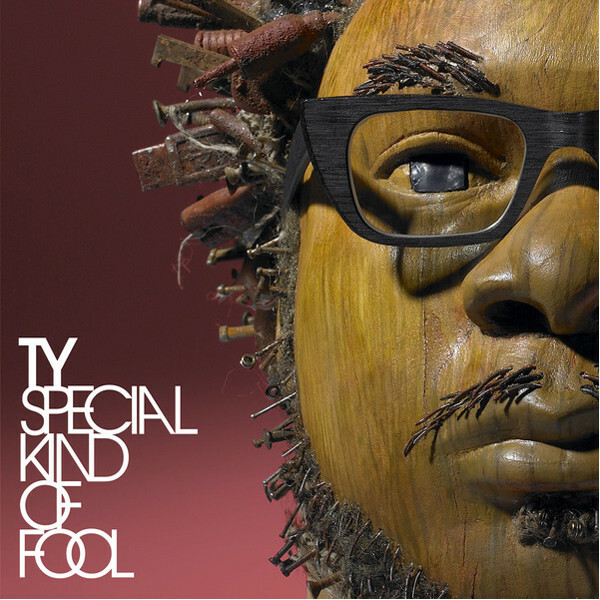 There is something incredibly unique about the music Ty makes - infectious, forward thinking and from the heart. You can never be too sure of what you’re going to get, but you can always count on it being better than anything you have ever heard before. He is a real man with real values that makes real music, which is very rare in this day and age; and I think this is reason why I admire him so much as a person and have so much respect for him as an artist. I remember him telling me last year that he would be baring his soul and giving everything he had to this album, and I can tell you now, he wasn’t lying. From the outset this album gives you an overwhelming sense of happiness and helps you “leave your troubles behind you”. His flow is unquestionably one of the best out there and that runs true throughout the whole album, however I believe the lyrical content and the quality of beats are on a completely different level to anything he has done previously. Another aspect of his work which is special is the features on his albums - in the past he has drafted in the likes of De La Soul, Speech, Bahamadia and Zion I, which is a mind-blowing achievement for an artist from the UK. However, being a huge Soul fan, I personally think Special Kind of Fool has got his best features to date - one of my favourite male vocalists, Shaun Escoffery, even took some time out from being Mufasa to do his bit. I would love to go into great depth and break down each and every song on the album, but sometimes I just feel it necessary to let the Music do the talking. There are three tracks which quite simply amazed me though and they are: ‘ME’, ‘Heart is Breaking’ and ‘Happiness’. ‘ME’ is genuinely one of the best songs I have heard in years - it has such a beautiful message and Erik Rico’s voice brings the track to life. ‘Heart is Breaking’ is pure genius - so happy to finally hear Ty and Sway on a track together proving why they are two of the best out there. ‘Happiness’ is the most beautiful song on the album - it really touched me and I have to say; Vula’s voice is sounding purer than ever. Although I would say that these are my 3 favourite tracks off the album; it’s very hard to pick out any song that didn’t blow me away. 2010 has been a brilliant year for Music so far and before hearing this album I thought I had heard two candidates for album of the year in ‘The Sea’ and ‘Plastic Beach’, but this album is absolutely perfect and is everything that a Hip-Hop album should be. I could talk all day about it, but I will leave you all to make your own judgement on it when it comes out on the 19th April. He is one of the most genuine and honest people I have come into contact with and I wish him every success when the album drops. He deserves it. Really cool album cover and a top album. Been looking forward to this for a while. One of my favourite Producers of all time. Another musical genius that is gone too soon. A sad day for Hip-Hop. After appearing on Meth’s ‘Release Yo Delf’, Raekwon’s ‘Rainy Dayz’ and countless Wu-Tang classics, Blue Raspberry is finally stepping out from the shadows, and MY GOD; I’m very happy about this. Erykah X Madlib - Strawberry Incense.